The leading plaintiff is Yazan Hussein, who claims he transferred 1,644.54 BTC to Coinabul last year, but did not receive the gold he ordered. The federal complaint was filed in Illinois on 25th July. It names Coinabul and its CEO Jason Shore as defendants. Hussein demands a jury trial. Hussein turned to Edelson law for representation, the same firm heading the Mt. Gox class action in the US. Chris Dore, a partner at the firm, told CoinDesk that Hussein reached out to the company after trying to resolve the Coinabul dispute for close to a year. Dore added that Edelson wishes to pursue the complaint as a civil matter to ensure that all bitcoins involved in unfulfilled transactions are returned. Dore said Edelson has not been in touch with Coinabul yet. The suit alleges that Coinabul stopped honouring its sales more than a year ago, back in June 2013. However, Coinabul continued to take orders and accept bitcoin payments for precious metals it did not have in stock, the plaintiffs claim. The plaintiffs claim Coinabul stopped shipping the promised gold or silver and thus unlawfully misappropriated millions of dollars worth of customers’ bitcoins. The complaint states Coinabul unexpectedly stopped shipping precious metals to their customers approximately two years after it was founded in 2011. This caused a backlash, especially on bitcoin forums such as bitcointalk.org. Coinabul responded to the controversy by taking part in online discussions and apologising for “longer-than-usual delays”. The company went on to issue additional ambiguous statements in an attempt to alleviate customer concern over the unfulfilled orders. Then, in July 2013, Coinabul sent an email to customers claiming that it was unable to find a bank willing to take its business. However, in the email Shore claimed that a “large portion of outstanding orders” had already received tracking numbers and were en route to customers. The complaint alleges the company never stopped accepting bitcoins for new orders, although it had no intention of fulfilling them. Hussein claims Coinabul still owes him 1,644.54 BTC. The unfulfilled orders were placed between 22nd-24th June last year. Prior to these unfulfilled orders, Hussein spent approximately 1,400 BTC on gold coins and bars from the website. However, these shipments were fulfilled within several weeks. After noticing that his last two orders were not fulfilled in a reasonable timeframe, Hussein began contacting Coinabul in July 2013. Following an email exchange he decided to ask for his money back on 4th September. However, Coinabul informed Hussein that he was at “the mercy of the banks” and that the company could not fulfil any orders. Over the next few months Hussein said he merely got vague excuses for why his orders were not shipped. Eventually he decided to take legal action. Crucially, the complaint states that the exact number of class members is unknown to the plaintiff, but it points out that Coinabul received “over a thousand” orders. It is unclear how many of these remain unfulfilled. The company claims the scheme will provide customers with “optimal and reliable” – but low-cost – hash power to maximise the return on their investment. DigitalBTC and CryptX became the first clients to use BitFury’s managed mining services, which are not available to all customers. The firm says its computing centres are managed around the clock by a team of engineers and benefit from locations with low energy prices. CryptX and DigitalBTC, the two clients trialling BitFury’s managed mining services, say they are pleased with the performance so far. Last week DigitalBTC, the first bitcoin-centric company to trade on a major mainstream stock exchange, reported its quarterly earnings. The figures revealed that the company has already managed to recoup its original $4m investment in BitFury-branded miners and services. “We’ve found the BitFury Group to be an invaluable partner as we have built up DigitalBTC into a significant bitcoin miner and the world’s first listed bitcoin company alongside our other bitcoin operations,” said Zhenya Tsvetnenko, the company’s executive chairman. Bert Valkenborgs, CEO of cloud mining firm CryptX, commented that professional hosted mining operations are likely to be the future of the mining market. BitFury is not the first company to offer comprehensive hosted mining services. Cloud mining started taking off last year and UK firm CloudHashing led the way, offering bitcoin mining-as-a-service in mid-2013. CloudHashing eventually merged with HighBitcoin to form PeerNova, which now sells mining infrastructure services at an enterprise level. Bitcoin ASIC designer CoinTerra announced several hosted mining services back in May, starting at $999 for a 12-month 200GH/s rental. The company said the move will allow it to deploy orders more rapidly than its competitors, making the most of its hardware. In all the excitement yesterday over Wikipedia’s new partnership with Coinbase, another significant piece of news from the bitcoin company got rather overshadowed. Notably, the payment processor announced that it will waiver all fees for registered 501(c) non-profit organisations accepting bitcoin through its merchant tools. The announcement continued that any non-profit accepting bitcoin through the company would be able to instantly exchange its bitcoin donations for US dollars and receive a daily bank transfer without incurring any costs. At any charitable organisation overheads inevitably eat into donations, taking away much-needed funds from the intended recipients of the money. Charitynavigator.org even cites some highly-rated charities losing over three-quarters of their funds in this way. The percentage of funds lost to expenses is an issue that charities themselves take seriously and one that can sometimes put people off giving. Along with premises, staffing and other day-to-day essentials of running an organisation, donations will often incur fees from payment networks for their services. While PayPal offers a slightly lower rate for non-profits (2.2% + 30 cents per transaction, down from a standard charge of 2.9% + 30 cents), credit card tend to incur standard charges of around 1.5-3%. Bitcoin, however, enables donors to give virtually 100% of their donation to the intended charity, with only a tiny fee going to miners. Coinbase said that US donors may also enjoy significant tax deductions based on their bitcoin-denominated donations, although this may not be the case in every country. Apart from Wikipedia, most major non-profits do not yet accept bitcoin donations. However, some (such as UK charity Comic Relief) have said they are considering accepting the digital currency in the near future. Furthermore, a number of smaller non-profits, including Sean’s Outpost, the Women’s Annex Foundation and some open-souce software organisations, already accept bitcoin alongside other cryptocurrencies. In particular, the dogecoin community has proven very supportive of efforts to spread goodwill by donating to those in need, recently fundraising for a charity: water campaign to build much-needed wells in a drought-hit region of Kenya. Philippines-based website Bitstars.ph has developed a novel way to get bitcoins into thousands of new hands, and demonstrate the network’s utility for micropayments and tipping, with a worldwide ‘selfie’ competition. The site, launched in alpha on 1st June, already has over 1,100 registered users who have submitted over 10,000 photos. Of themselves. A selfie, in case you hadn’t heard, is a photo you take of yourself and then usually upload to a social network. Upload them to Bitstars.ph as well and you have the chance to earn bitcoin tips in addition to all those ‘Likes’. Now, as well as ‘Liking’ a photo, you can also leave a small bitcoin tip for the user. Tips average around 8 mBTC, and the site has a daily competition for the most popular selfies. Prizes range from about 200 pesos ($5) to 500 pesos ($12), which Cuneta said was around the median daily wage for a Philippines-based 9-5 worker. Prizes depend on the number of user submissions over the course of a day. To encourage participation, users may now also earn small amounts of bitcoin by liking an voting as well. Winners can opt to donate their prize money to charity. Bitstars.ph is open to anyone in the world with an Instagram or Facebook account, with users able to log in using those credentials. Topping the ‘most popular’ lists are selfies which are funny, creative, silly, colorful, and adventurous. No particular theme or style dominates the winner lists – of course, being attractive always helps but it’s no guarantee of success. It’s not surprising Bitstars.ph was born in the Philippines – locals simply love taking selfies. Makati City, part of the greater Metro Manila area, was recently ranked #1 in TIME Magazine’s “Selfiest Cities in the World” analysis. Manhattan and Miami were #2 and #3 respectively. Cebu City, also in Philippines, came in at #9. The analysis was based on the number of times the #selfie tag was applied to over 400,000 photos uploaded to Instagram. The Philippines population is 100 million, 40% of whom have internet access and one in four owns a smartphone. Facebook gets more eyeball-hours than TV with 30 million users. Parent company Satoshi Citadel Industries calls itself a “provider of bitcoin solutions” and manages a range of different digital currency services and sites. It also manages merchant services site Bitmarket, in-beta exchange Coinage, and remittance service ReBit. SCI is also rolling out pre-loaded bitcoin cards as another fast way to get bitcoins into beginners’ wallets. Cuneta continued that local awareness and adoption of bitcoin remained SCI’s main focus for now. Given that the Philippines is probably the world’s largest social media market, it seemed natural to integrate bitcoin somehow. He said he hoped as the concept became more popular users could earn good money from their photos, a concept that could then expand to cover music, art, and other media. The Tokyo Metropolitan Police Department has launched an official investigation into possible illicit activity surrounding the closure of Japan-based bitcoin exchange Mt. Gox. The news comes roughly five months after the bitcoin exchange reported it lost roughly 744,400 BTC – then about $350m in customer funds, and about one month since Mt. Gox was approved for its Chapter 15 bankruptcy in the US. Tokyo police told the media outlet that they suspect roughly 27,000 BTC were stolen from the website. Using past figures, however, as many as 544,000 BTC could theoretically be uncovered by the investigation, as Mt. Gox later confirmed that it found 200,000 BTC in an old bitcoin wallet in March, reducing its total estimated number of lost bitcoins. The news, while vague as to how police will seek to carry out their mandate, is potentially encouraging to former exchange users still waiting for any action that could help recover their lost assets. Lawyers representing the exchange’s former users and current creditors, for instance, have reported that they have been blocked from conducting any fact-finding into Mt. Gox KK, the company’s Japanese entity, since it was granted initial bankruptcy protection in the US. Still, in comments to CoinDesk, representatives of the Edelson law firm suggested that they believe that any wrongdoing was perhaps the result of activity at the exchange itself, not necessarily any outside parties. It is unclear whether the new investigation is focusing on the company or on any alleged cybercriminal activity. Mt. Gox has officially maintained that it lost the customer funds because hackers were able to exploit bitcoin’s transaction malleability – a process by which exchanges between Mt. Gox users were identified, though this claim was widely disputed by the community. The announcement also comes amid an alleged increase in police activity related to digital currency in Japan. For example, Japan’s Ministry of Economy, Trade and Industry first introduced a plan for how it would monitor illicit trade involving digital currency this May. This initiative would find the government agency working with other peer organisations such as the Financial Services Agency and National Police Agency. That same month, police forces in Tokyo and Fukuoka carried out what was said to be the country’s first bitcoin-related arrest, when a 38-year-old bitcoin user was arrested for allegedly importing illegal stimulants. 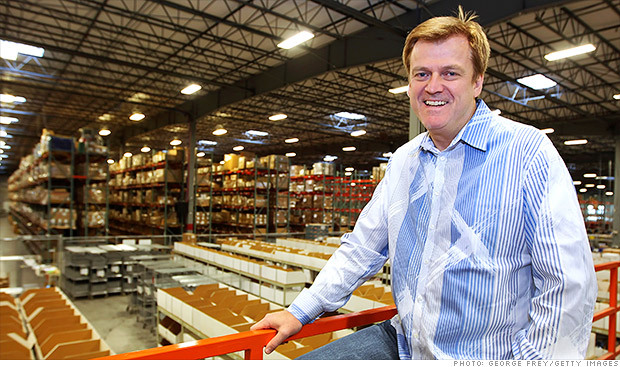 To date, Overstock.com has proved a pioneer in bitcoin advocacy, helping push a number of major merchants to consider accepting digital currency when it became the first marquee name to do so this January. Speaking to CoinDesk about the wiki, Byrne confirmed that the page seeks to crowdsource opinion from the digital currency community so that the company can shape its opinion on whether it would be able to introduce such an offering. Byrne went on to suggest that he believes the Depository Trust & Clearing Corporation (DTCC), a financial services company that provides clearing and settlement for the majority of securities transactions, should be disintermediated by a block chain-based solution, and that doing so could prove more valuable to society than replacing central banks. Though the specifics of any final offering would likely be shaped by any cryptosecurities exchange platform Overstock chooses, the end result would aim to be similar to a traditional common stock, with the same associated economic and legal rights. Speaking to CoinDesk in the past, some of the burgeoning sector’s major players, however, acknowledge that the legality of securities trading using decentralised block chain-based platforms is still murky, especially as laws around traditional crowdfunding remain opaque. Should Overstock go ahead with such a proposal, it acknowledges it would likely encounter a number of issues. The wiki page currently names exchange recordkeeping and legal requirements, for example, as two areas that need further clarity. (RSS feed), leave a response or trackback from your own site. News of the international payment option first surfaced during a TV interview Byrne gave to Russia-based, English-language news source RT‘s “Boom Bust” program. Throughout the interview, Byrne was overwhelmingly positive about his company’s experience with bitcoin, lauding the service provided by its merchant processing provider Coinbase and remarking that it “hasn’t had a hiccup since we started”. “We’ve integrated with all kinds of payment systems and this is the first that I can think of where there’s been no hiccups at all,” Byrne added. Byrne further revealed that the company is now issuing refunds in bitcoin, and that its customer service agents have been facilitating the offering for one month. 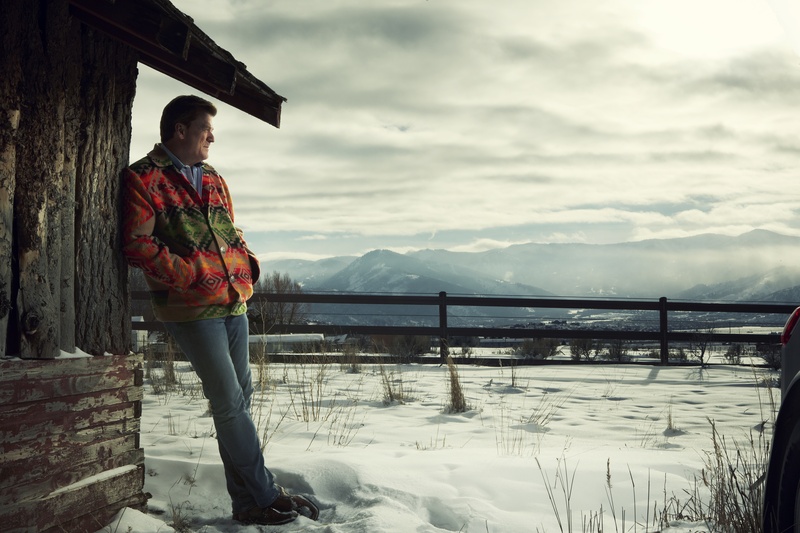 Byrne also used the interview to further position Overstock as a major influence within the broader e-commerce community, noting that he believes the company’s announcement marked a milestone in bitcoin merchant adoption. The CEO went on to say that, even from a purely public relations standpoint, bitcoin is a no-brainer for other similarly sized businesses. In his comments, Byrne suggested that bitcoin purchases now account for one-quarter of 1% of the company’s sales, but that the pace of sales from this market segment is increasing. Coinbase confirmed to CoinDesk that should Overstock seek to expand its bitcoin payments program it can do so with its services. The company pointed to its recent integration with global e-commerce and logistics solutions provider Bongo International as an example of a partner that accepts global payments. Open-source wallet management platform Armory Technologies has released Lockbox, a new feature it claims is the world’s first decentralised multi-signature interface for bitcoin. Version 0.92 of the Armory client now has a new user interface that allows users to carry out multi-signature transactions, offering claimed “high-security storage”, as well as opening up new possibilities for bitcoin contracts and escrow services. The Armory client lets users manage multiple wallets and maintain offline wallets, as well as other features. Armory says its new Lockboxes do not require any third-party services and that they give users complete control over the generation and storage of all cryptographic keys. Furthermore, each Armory signing device can generate its own wallet even when it is offline – a useful feature for keeping bitcoin in ‘cold storage’, away from the inherent risks of Internet-linked devices. The company says Lockboxes are very flexible, allowing users to choose any multi-signature combination from 1-of-2 up to 7-of-7, with each increase requiring more signatures to release funds from the wallet. Armory says that most other multi-signature services only provide a single type of multi-signature and also require third-party services or signers. The fact that such systems generate multiple private keys on the same system, which then pass through the same channel, creates a “point of failure” in the system, the company asserts. Armory 0.92 also features support for simultaneous funding or ‘simulfunding’, which is basically a simple bitcoin contract. All parties involved in a funding effort need to specify how much they are willing to contribute, then combine the contributions into a single contract-backed transaction. The transaction is finalized only when the contract is executed in full, in which case, all the funds are transferred at the same time. If the contract is not executed, no transaction takes place. The bitcoin network enforces the agreement, eliminating the need for trust between the parties. Armory is demonstrating the simulfunding feature with a donation drive valued at 20 BTC, with the funds going to the Electronic Frontier Foundation, the Free Software Foundation and the College Cryptocurrency Network. Armory promises to match the donations with a further 20 BTC contribution of its own. The company says it is on track to release Armory version 1.0 soon and that it will include a new API for enterprise integration and a ‘supernode’ mode that it claims will “replace the need for third-party services in your bitcoin management platform”. Combination lock image via Shutterstock.